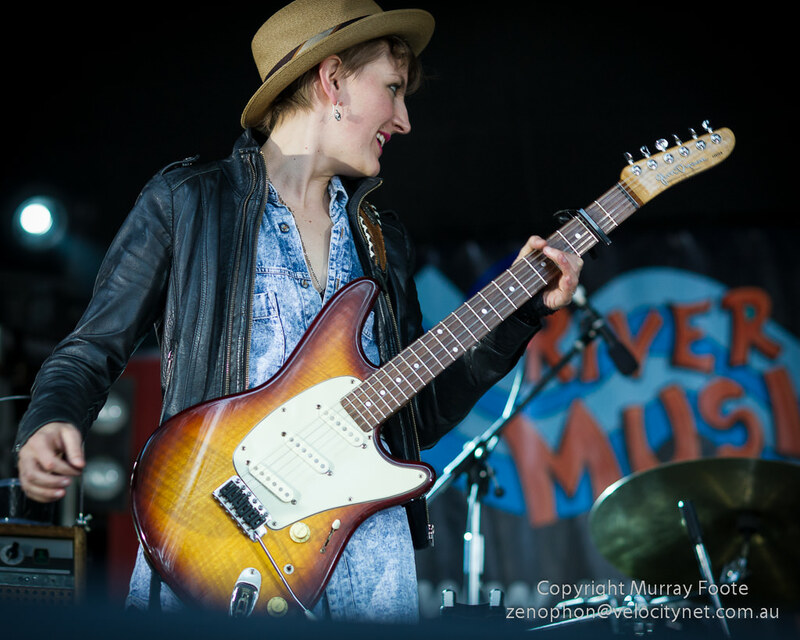 The Sydney Blues Festival for 2012 played over three days in late October in the historic town of Windsor. During that time I photographed 44 bands or performers. Images and links for twelve of these follow. 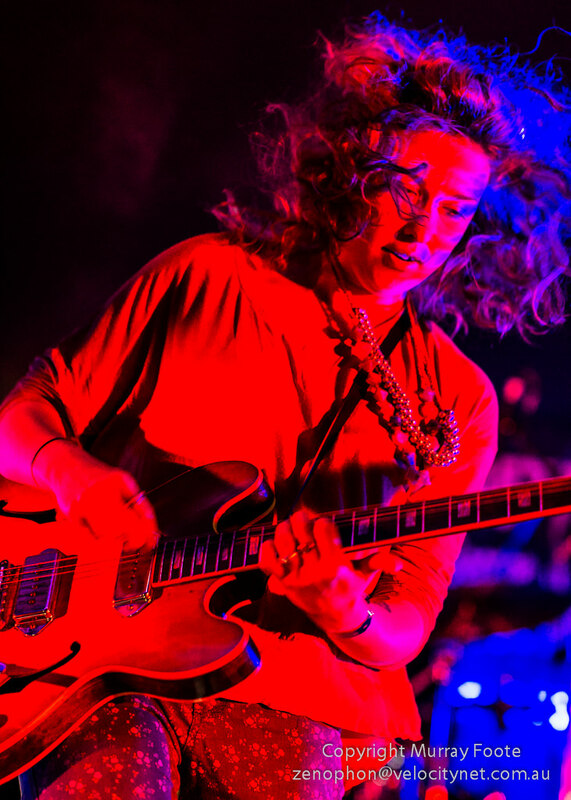 You can find links for all the other performances in the overall blog page for Sydney Blues Festivals (2009, 1020, 2012). This includes links to the Top 100 Images, Selected Monochrome Images (62) and the overall collection of All Images with subfolders by band. This last also includes an overview of 39 images. Jim Conway from the six-piece band Big Wheel playing Blues, Jump and Swing. There have been a few personnel changes over the years and Jim and pianist Don Hopkins are the only remaining original members. More images (another six); Band Website; Sample tracks. Rob Hirst of the “Delta Blues Wall of Sound” band The Backsliders. 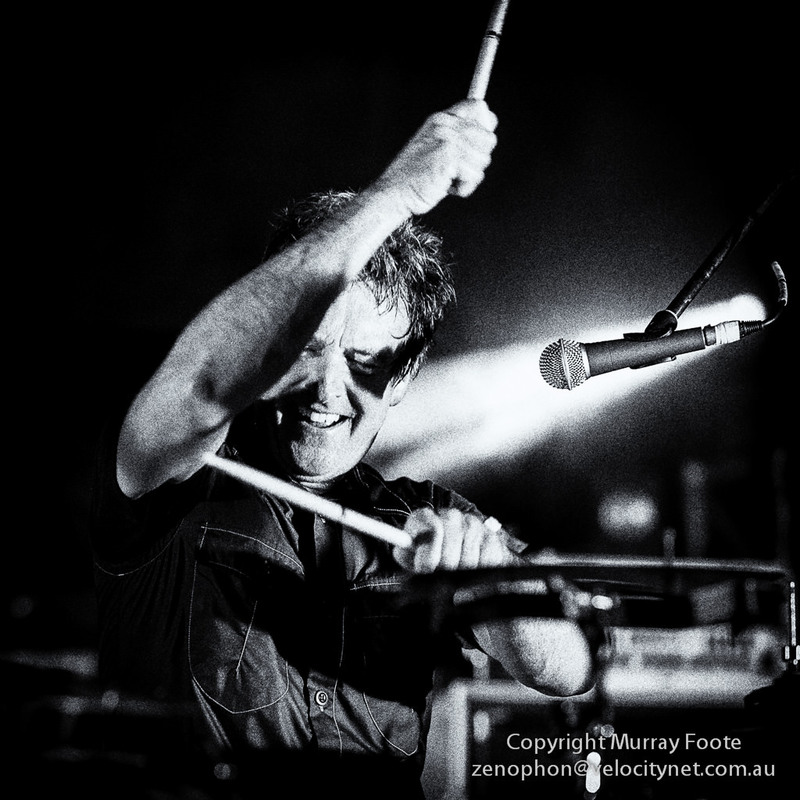 He used to be drummer with Midnight Oil and brings spectacular energy levels to the band. 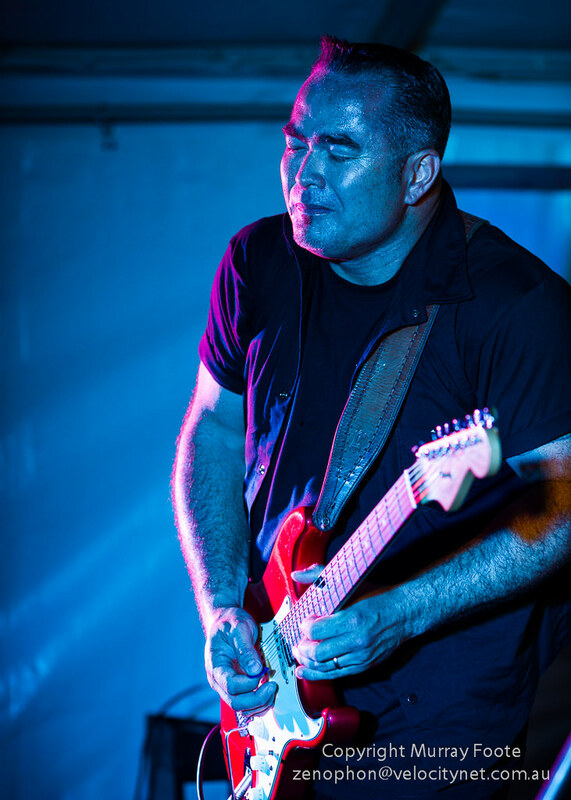 Dom Turner is guitarist and founder of the band 25 years ago. Broderick Smith here plays Harmonica. More images (another 19); Band website; Videos. Mason Rack of the three piece Mason Rack Band, energetic and versatile Blues. I hadn’t seen them before and I was impressed. More images (another 14); Band website; Videos. Mia Dyson, back from the States and playing her own distinctive blend of music. More images (another 11); Website; Tracks from Albums. 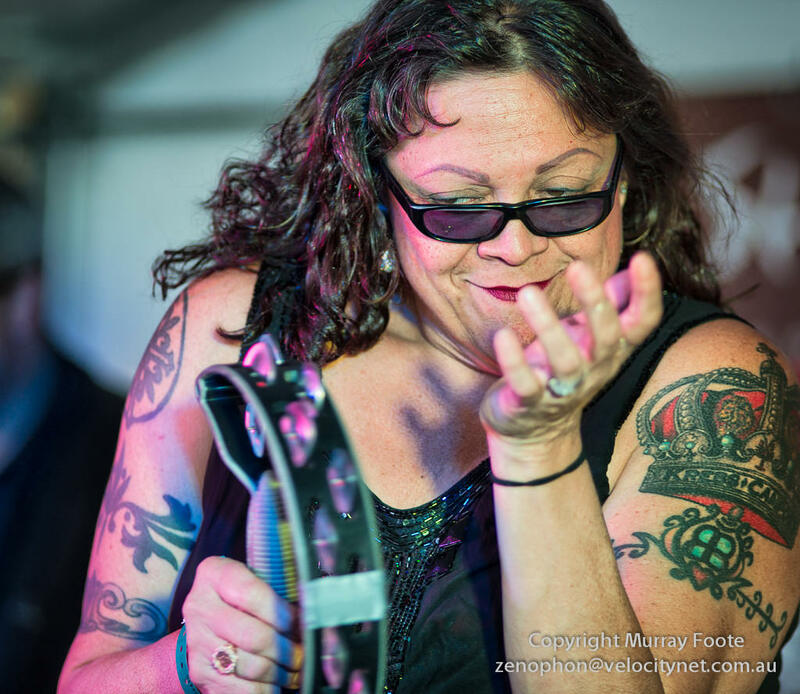 Lanie Lane is relatively new on the music scene, incorporating blues, jazz and rockabilly. More images (another 20); Website; Video. 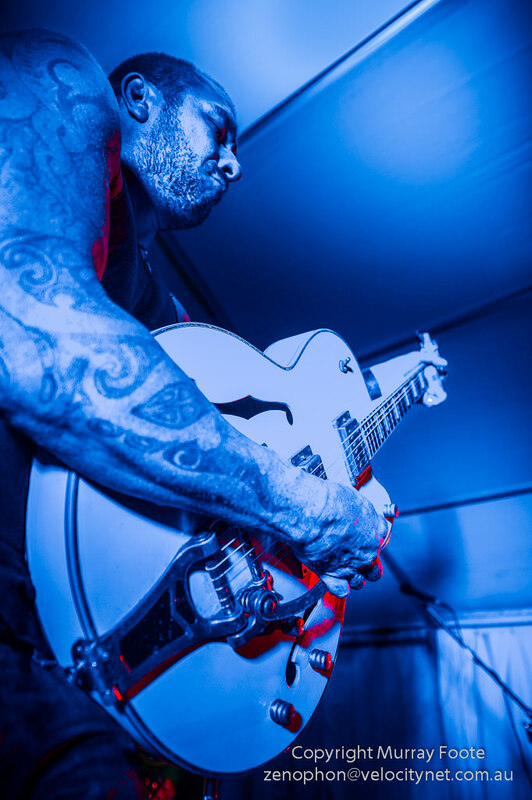 Billy TK Jnr, maestro Blues guitarist, over from New Zealand with his four piece band the Groove Shakers. More images (another 19); Website; Sample tracks. 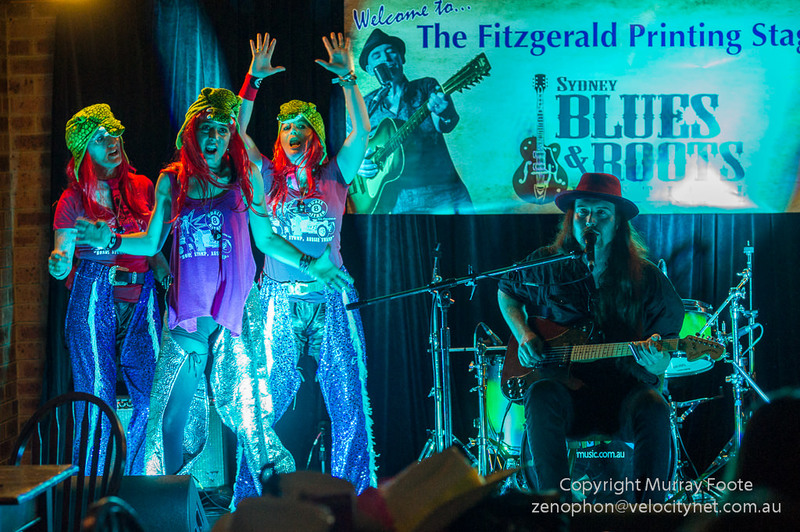 8 Ball Aitken, Swamp Blues from Northern Queensland, performing solo with his three-woman backup dancers. More Images (another 13); Website; Video. The Angels, a seminal Australian Rock band formed in 1974 and setting a standard with their Face to Face album in 1978. 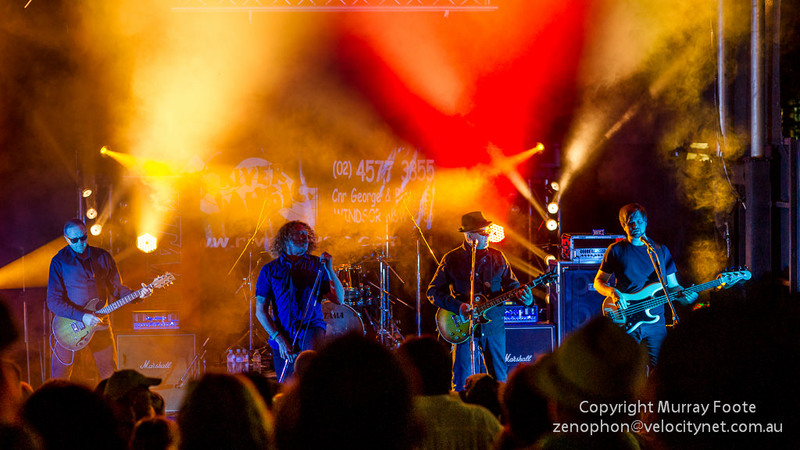 Rick Brewster, Dave Gleeson (formerly of the Screaming Jets), John Brewster and Sam Brewster-Jones (John’s son, standing in for Chris Bailey) with the drummer (Nick Norton) behind, obscured by the smoke. More images (another 40); Website; Video. 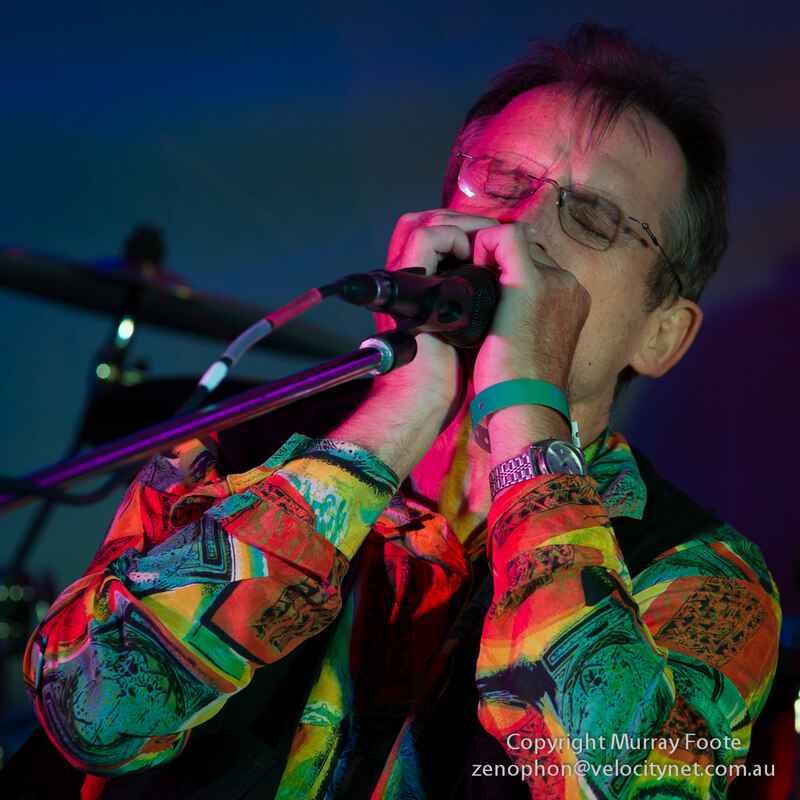 Mick Conway, frontman of the Captain Matchbox Whoopee Band, reformed for this performance. 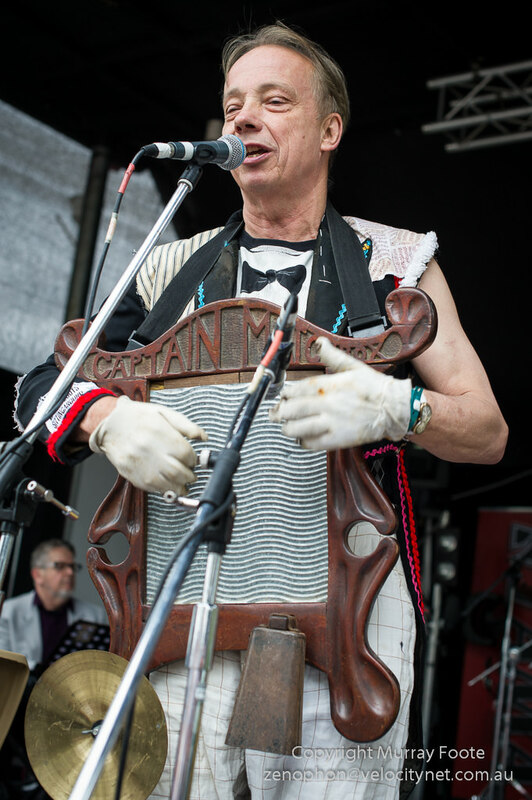 They are a Jug Band from the 1970s and their best known recording is probably their second LP, Wangaratta Wahine. For the performance here, they are an eight-piece band. More images (another 18); History and Info. Barbara Blue “the Memphis Queen”, a rhythm and Blues singer from Memphis Tennessee, here backed by Australian Musicians. More images (another 22); Website; Sample tracks. 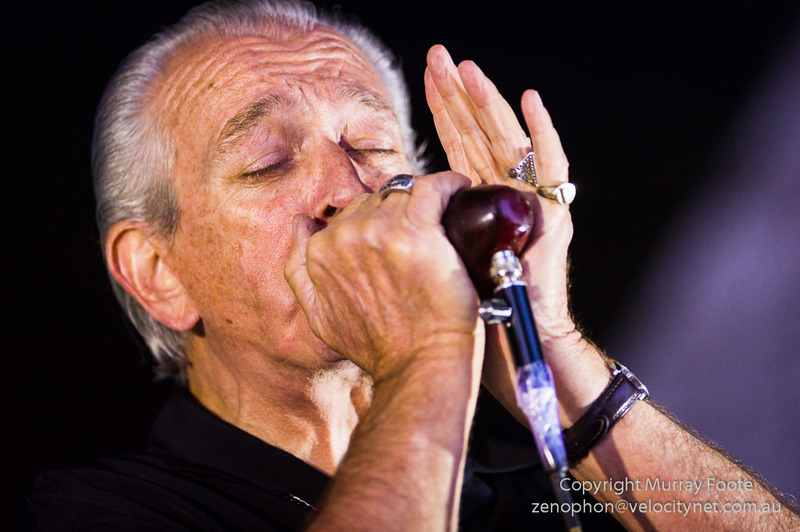 Charlie Musselwhite, the great American harmonica player and band leader, here playing with his own band. 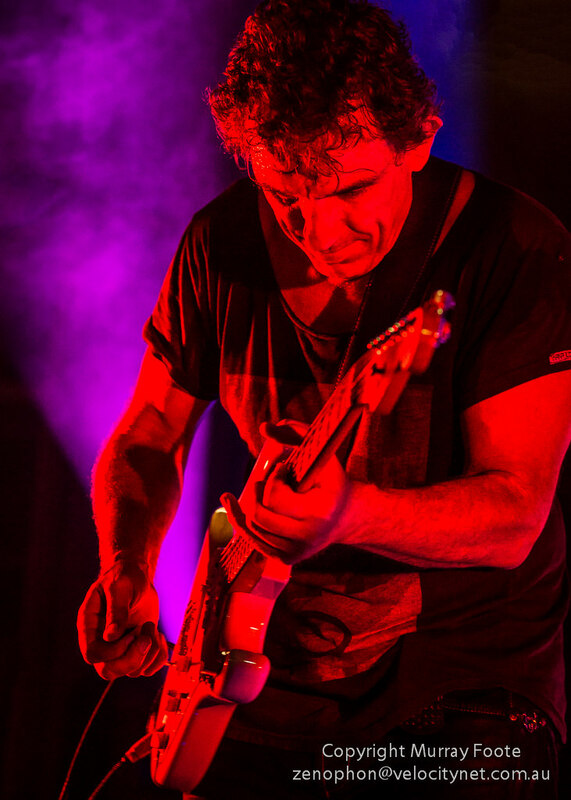 Ian Moss, best known as the lead guitarist of seminal Australian Rock band Cold Chisel, performing here with a five-piece band including Dave Blight, Jonathon Sion (? ), Peter Walker and Hamish Stewart (sp?) as the grand climax to the Festival. Thanks Andreas and you have lots of really good shots there. It’s a lot easier today than it used to be in the days of film. Then I used to shoot Ektachrome 160 tungsten, push it two and a half stops and print Cibachrome. Getting the film exposed correctly was much more exacting than digital and only, say, 36 exposures per night.